Jim and I went on a date. He called it an educational field trip. Kelly chaperoned our evening drive and we dined on chicken wings and fried fish. 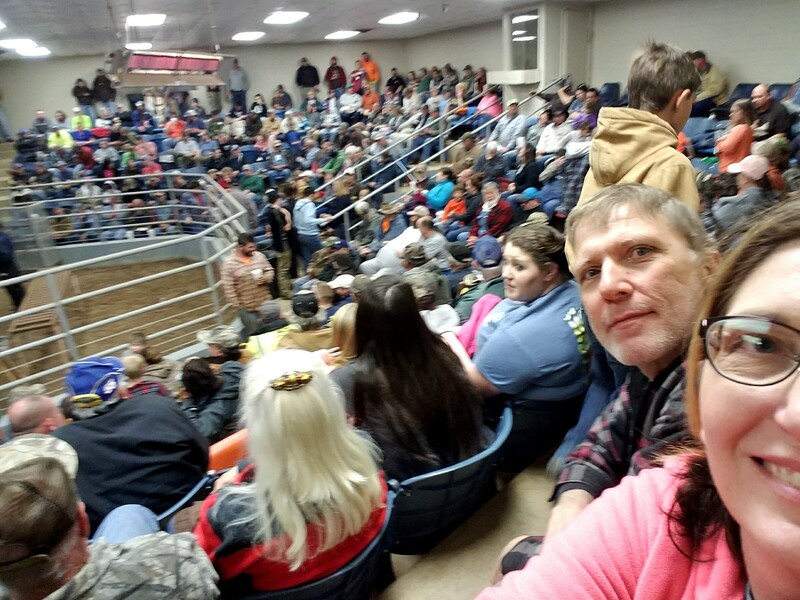 We went to the Livestock Auction where we saw a throng of people packing the auction block, a line to the restroom, big screen televisions, and the auctioneer was on his game. I learned at the young age of 4 to sit on my hands, don’t point, and to pay attention. Those three rules still apply in a different way. The Cleveland County Livestock Auction was known to us as children as “Dedmon’s” or “The Sale Barn” where we took cows no longer producing milk. Now, the auction company sells cattle on Tuesdays and other livestock biweekly on Friday Nights. I do not remember ever seeing that many people packed into the auction room. We arrived shortly before 7 pm, much too late to get a seat, but plenty of time to get a plate of food, walk the catwalk over the animal stalls, watch animals being run in and out of the auction, and to people-watch. In case you’re wondering, intake of animals for sale begins around 3 pm, so arriving at 6:45 pm with a rooster in the trunk of your car will get you a nasty look, a sigh and the explanation that they have registered 400 birds and yours will be last in line to the auction….probably around midnight. That’s why Max sat in a cage in the trunk all evening…and that probably why his story to the other chickens sounds a bit like an alien abduction. 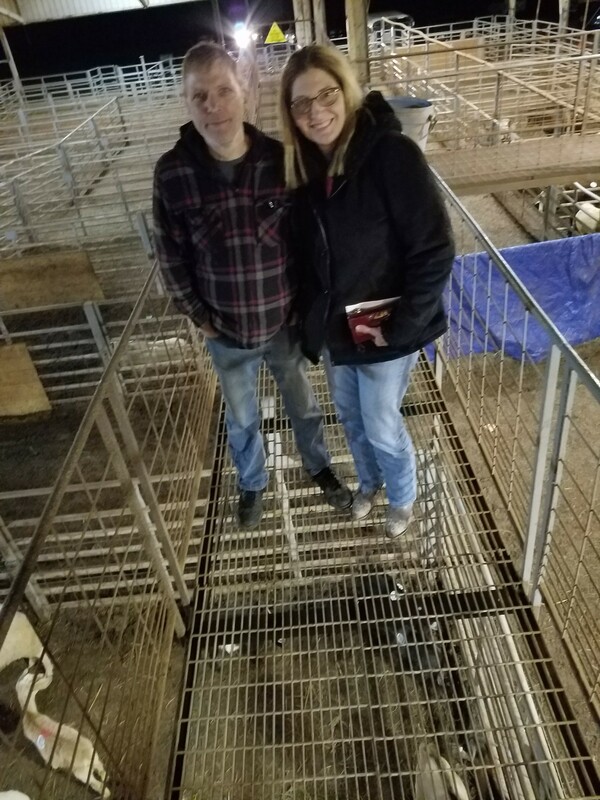 We didn’t buy or sell anything, but Jim learned all about the Livestock Auction.